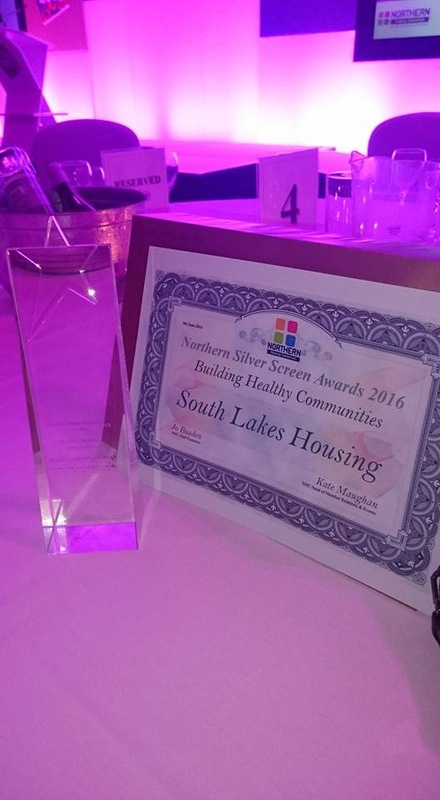 Birthwaite Sheltered Housing Scheme has been recognised at a Northern Housing Consortium awards ceremony for ‘Building Healthier Communities’. The prize was collected by Alison Kinnon (Assistant Director of Customers & Communities) and Tina Armitage (Senior Scheme Manager) at the Northern Silver Screen awards in Blackpool on 9th June 2016. Housing an ageing population is a massive challenge in Cumbria. In the South Lakeland district alone the number of people aged 75 – 84 is projected to increase by 43% by 2035 and partners have responded with a strategic aim to develop 180 specialist dementia units by 2019. SLH has been working with health partners to reconfigure sheltered housing provision to achieve a ‘dementia friendly’ standard. The innovative Birthwaite Sheltered Housing Scheme in Windermere was completed in June 2014. This formed part of the Prime Minister’s ‘Challenge on Dementia’ campaign to increase diagnosis rates, raise awareness and double funding for research by 2015. A joint bid by Cumbria County Council and Cumbria Partnership NHS Foundation Trust to the Department for Health secured £227k for five extra care housing schemes around the county. SLH were successfully awarded £70k with SLH contributing a further £200k. 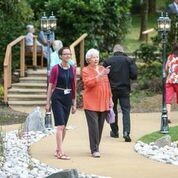 The project included the installation of ‘dementia friendly’ signage, a new entrance, a sensory garden, upgrades to the communal lounge and better lighting. The scheme can now help to prevent admissions to hospital, facilitating quicker hospital discharge and preventing expensive admissions into residential or nursing care including two recent referrals from social workers. There are a considerable number of residents who have early onset and or undiagnosed dementia symptoms benefiting from the increased social activities and greater use of the garden. 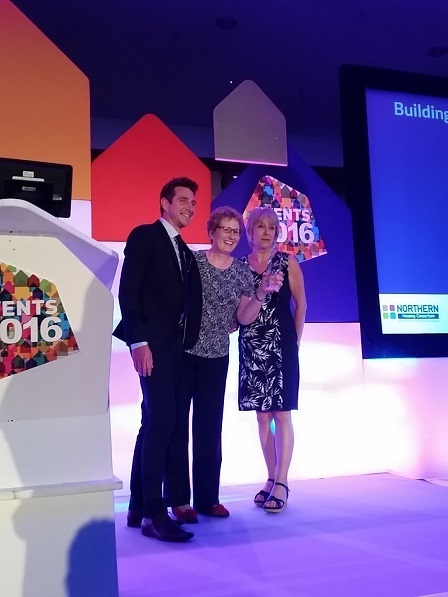 SLH is also keen to deliver legacy benefits from this work and became the first housing association in Cumbria to become members of the Dementia Action Alliance earlier this year. The action plan commits the organisation to training all staff as ‘dementia friends’ and in ‘safeguarding adults’. ‘Dementia friendly’ improvements have also been delivered at a further two sheltered schemes in Kendal and Grange-Over-Sands in 2015.